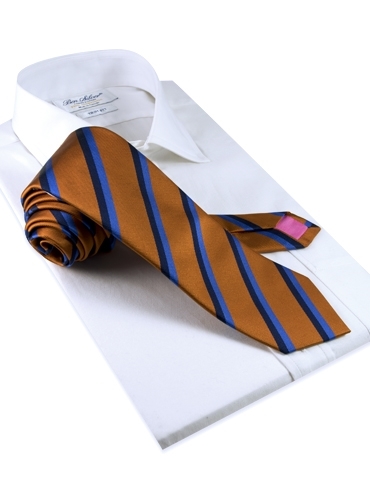 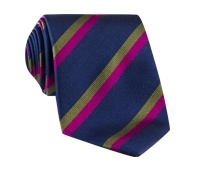 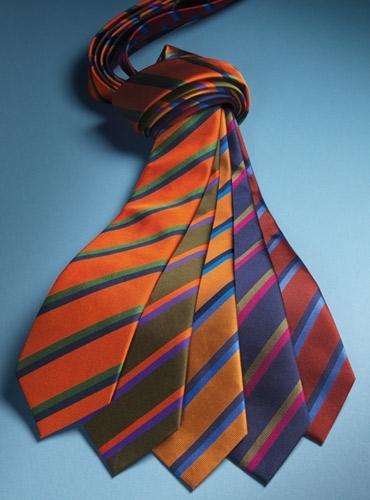 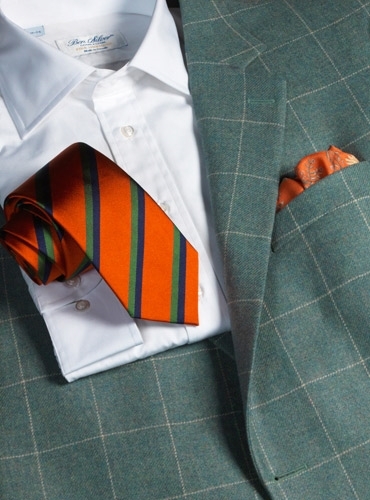 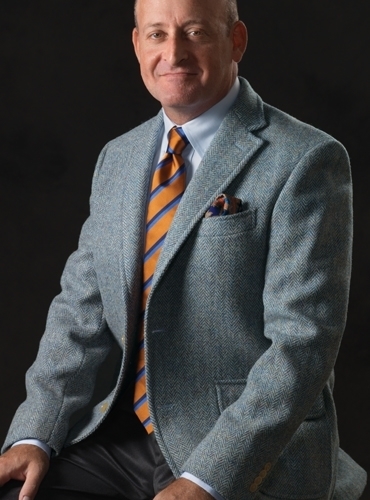 Silk woven multi-colored double bar stripe ties and matching bows. 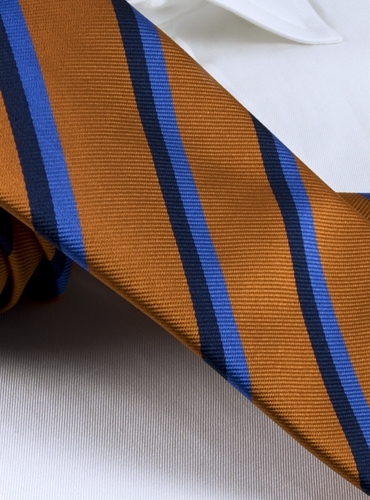 Featured in C-copper ground with navy and cornflower blue stripes. 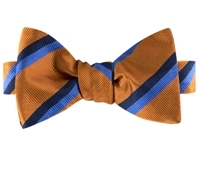 Also available is: A-tangerine with navy and grass; B-fern with tangerine and violet; D-navy with magenta and olive; E-ruby with navy and cornflower blue.